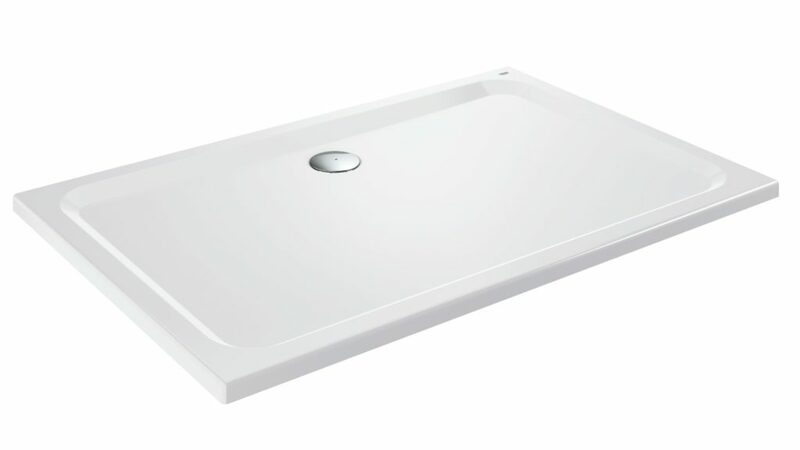 In a bid to become a complete bathroom solutions provider, Grohe has expanded its portfolio with its first shower tray collection. The shower trays expand upon its bathroom offer of sanitaryware, brassware, bathroom accessories and water protection system Grohe Sense Guard. There are seven models in the collection and all have been designed to match its three sanitaryware design lines – Grohe Bau, Grohe Euro and Grohe Cube. Made from acrylic, the trays are low profile with a depth of 30mm and come in a choice of square or rectangular models. They are available in sizes from 800 x800 up to 900 x 1400mm and all come in an Alpine White finish. Grohe also manufactures products for the kitchen industry, including filter taps, hot water taps and most recently sinks. In the past 10 years, alone, it has won more than 300 design and innovation awards, scooped the German government’s CSR prize and was also featured in Fortune magazine’s ranking of Top 50 that are “changing the world”. Part of the Lixil Group since 2014, Grohe’s sister companies include American Standard, Tostem and Inax and operates in 150 countries. Grohe employs more than 6,000 people, 2,400 of which are based in Germany.